Easing Cloud Concerns, Now You Can Enjoy and Embrace the Cloud! Still scared of the cloud? Â Well, youâre not alone. Â Stats show a good number of individuals and corporations are still apprehensive about incorporating this relatively new technology into their lives and businesses. 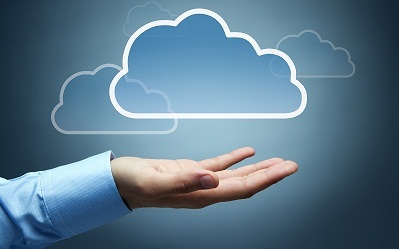 Â However, most people are already using forms of the cloud without even realizing it. Â iTunes is a perfect example, and one of the first commercially available âcloudâ platforms. Â Most people donât think of iTunes as being a cloud-based application, but it certainly is. Â And, so are many other popular services, including Gmail, Dropbox and Hotmail, just to name a few. Â So, chances are, you are already using the cloud in some form or fashion. The apprehension settles in when people start considering storing their business or personal files in the cloud. Â Fears, both real and perceived, are still keeping people from utilizing this revolutionary technology. Â This article will discuss some common fears and what you can do to help ease your cloud anxiety. Iâm Afraid Iâll Get Hacked! This is a very legitimate concern. Â Hackers are the thieves of the Internet, always in search of their next victim. Â While there is no âhack proofâ application, website or platform, there are steps you can take to minimize the chance of becoming a victim. Â Remember, hackers are like criminals â they tend to prey on weaknesses. Â First, if you are using a reputable cloud provider, chances are they are incorporating advanced security measures to protect the integrity of the data they store. Â Researching your cloud providerâs security and track record is of the utmost importance. Most of the time, âhackingâ is not a result of the cloud providerâs lack of security, but of the users themselves. Â In reality, many of us make common, but careless, mistakes on a daily basis that increase our chances of falling victim to a hacker. It is always a good practice to choose complex login passwords with numbers, symbols and both lowercase and uppercase letters. Â Be sure to use different passwords for all of your logins. Â Public computers and public Wi-Fiâs are havens for hackers. Â So, when logging in to any application, do so from a secure connection. Protecting your laptop, tablet and phone with a password provides and extra layer of protection since you can log in to cloud storage via any mobile device. Â If your cloud application or provider requires you to upload security updates, do so as soon as they become available. Â Remember, if you are using a reputable cloud provider, chances are their security measures to protect your data on their servers far outweigh the protocols you are taking with your own in-house equipment. Cloud providers go to great lengths to protect the integrity of their clientâs data. Â Can you imagine the public relations nightmare for a cloud provider who acted carelessly with customerâs data? Â Take a moment to think about thisâ¦how safe is the data you choose to store on your laptop or on a flash drive, which can be easily lost or stolen? Keeping data in the cloud eliminates reliance on âlocalâ storage because everything can be accessed remotely online. Â Unless someone can âcrackâ your password, your data is perfectly safe with most providers. Â The key, once again, is to research the policies and track record any provider you consider using. Storing data remotely and accessing it online can make one feel like âsomeoneâ may be monitoring the information transfer. Choose a cloud company as you would any other trusted provider â like a doctor, financial institution or real estate agent. Â Remember, most cloud providers understand they have more to lose than to gain by compromising or leaking your data. Â Would your doctor disclose your private health information? Â Most cloud providers, like other service professionals, take the privacy and confidentiality of your data very, very seriously. Yes, there are costs associated with cloud storage and computing. Â The price you pay will be determined by which provider you choose, what features you want and how much storage you need. Â In most cases, the benefits ultimately outweigh the costs. Â Have you ever had a computer or network crash? Â If so, do you recall just how much time it took to recover and restore your data? Â That is, if you were even able to recover your data. Â And, how long were you unable to work while you or your IT department spent endless hours trying to recover files? Â When you operate in the cloud, the devastating consequences of system crashes become a thing of the past. Â If you crash or fall victim to a virus, all of your data is easily recoverable and restored from the cloud. You canât put a price tag on peace of mind or the ability for your business to quickly recover.